We live in a high tech world, and most of our jobs demand the use of a smart phone or internet ready device. These tools are ideal for employees to communicate with employers, clients, as well as complete work tasks while in or out of the office. Smart phones have made it possible for employees to work more efficiently off site. Although, there are many great benefits for employees to use a smart phone to conduct work activities, it also comes with a lot of negativity. Smart phones and other internet ready devices can serve as a major distraction for employees. Calling family or friends, chatting on social media sites, and playing games can all reduce an employee’s work activity. Employer’s no longer have to worry because there is an advanced monitoring system called mSpy that will provide the answers that are needed. 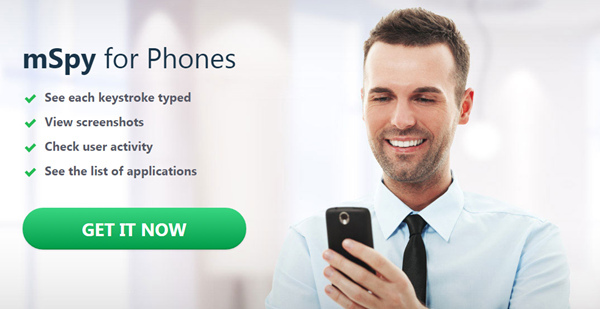 This software will log all activities that are conducted on an employee’s company cell phone or tablet. mSpy has been ranked the #2 cell phone monitoring and filtering software by TopTenREVIEWS.com for 2014 and 2015. If you are a business owner who supplies a smart phone or tablet for your employees to use, you could benefit from using this monitoring software. Here are just a few of the innovative features that mSpy provides business owners with. A variety of jobs require employees to work off site, and this can serve as a temptation when away from the office. However, this monitoring software can help business owners to track the exact location of where their employees are by using the devices GPS signal. Employers will know exactly what time the employee was at each location. This will help ensure productivity, and look for ways to improve off site work. Most employers allow employees to take their company issued device home with them. That is where a lot of un-business related activity is conducted. If employers are faced with paying for a data plan, and there is continuous overage, then there needs to be a way to monitor data usage. Otherwise, the employer will be stuck with a large bill every month. The mSpy app allows employers to set up restrictions. During the designated time restrictions, the employee will not be able to use the device. mSpy can also help protect your company’s trade secrets. If for any reason the employer is questioning an employees trustworthiness, this monitoring software logs all messages, phone calls, and emails that are sent or received by the user’s phone. A detailed log will be provided, which will show you the date, time, and duration. This will help an employer see if their employee is communicating with the competition. Once the true activity of the employee’s cell phone is discovered, employers will have everything they need to confront the employee. From there, the employer can set a plan in action for more productivity to be met, and less misuse of company time. mSpy provides many solutions for business owners. These are just a few of the ways employees can be monitored. There are so many more features that business owners can access to help ensure all employees are engaged in income producing activities during company time.